Bless this beautiful weather. These past six and a half months, I would happily boast 9 degrees to be patio weather, and now with this 20 degree beauty, I don’t even know what to do with myself. There are so many hidden gems are scattered across Toronto, Starving Artist is one of my girlfriend’s top recommendations. 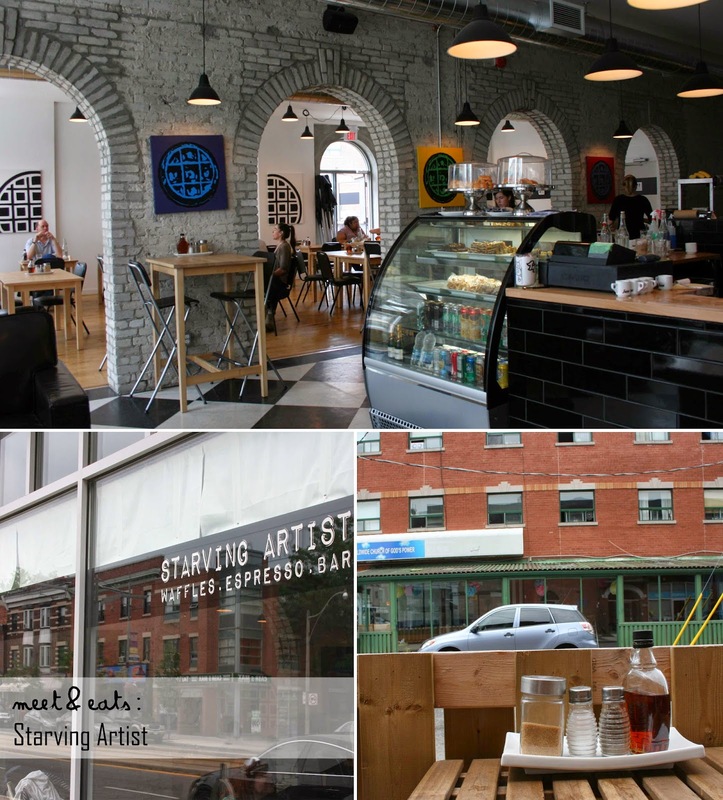 Located in St. Clair West, this is the second location of Starving Artist – the first being on Lansdowne Ave. Starving Artist has a marvelous spacious indoor seating and boasts 29 waffle menu options, both of sweet and savoury. What truly drew me to this place and pinned down my mate to take me here, was the glorious Potato Waffles she would constantly rant about – I had to taste it for myself. 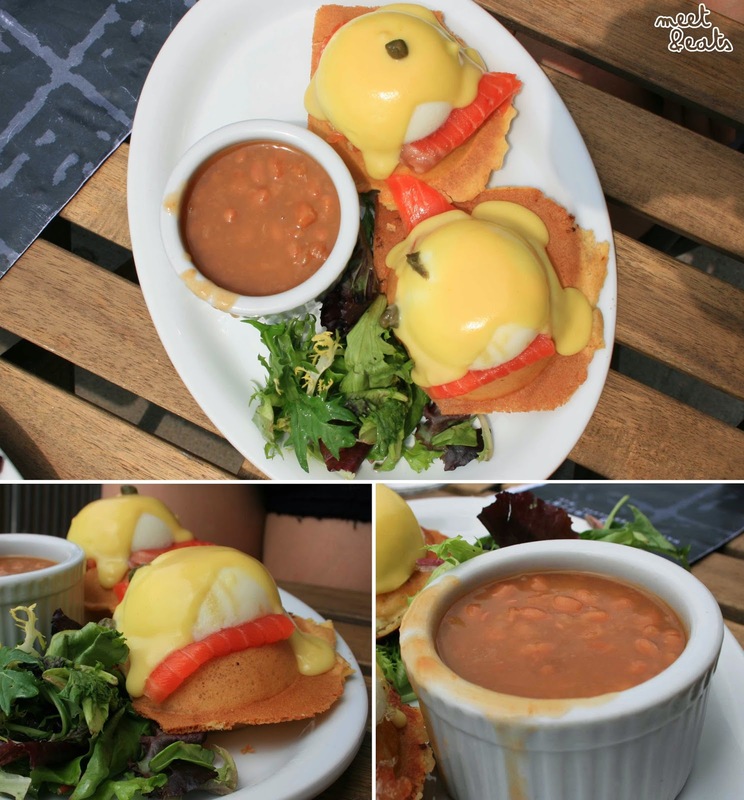 Also to note for my negativity – having any sort of Poached Egg and Hollandaise Sauce for any meal is a real bummer for me. But, I felt like I had to go for it according to my girlfriend’s wishes… So we went for two dishes of it. The Potato Waffles were as great as they were described to be. They had a wonderful Hash-Brown Crisp to them. The Caramelized Bacon was served in measly strips, hardly satisfying my bacon-cravings. The Maple Beans were tasty with it, but just became sickening not long after. I thought the first dish was okay, this ended up being way below – nothing surprising. Not the best Smoked Salmon. The Mini Waffles are a nice idea, but they should really come in three instead. Seriously – why is it all in such small portions! I would definitely come back here with a sweet-tooth fanatic to see the bazazz about their dessert. There were so many menu options that drew love-hearts to my eyes. 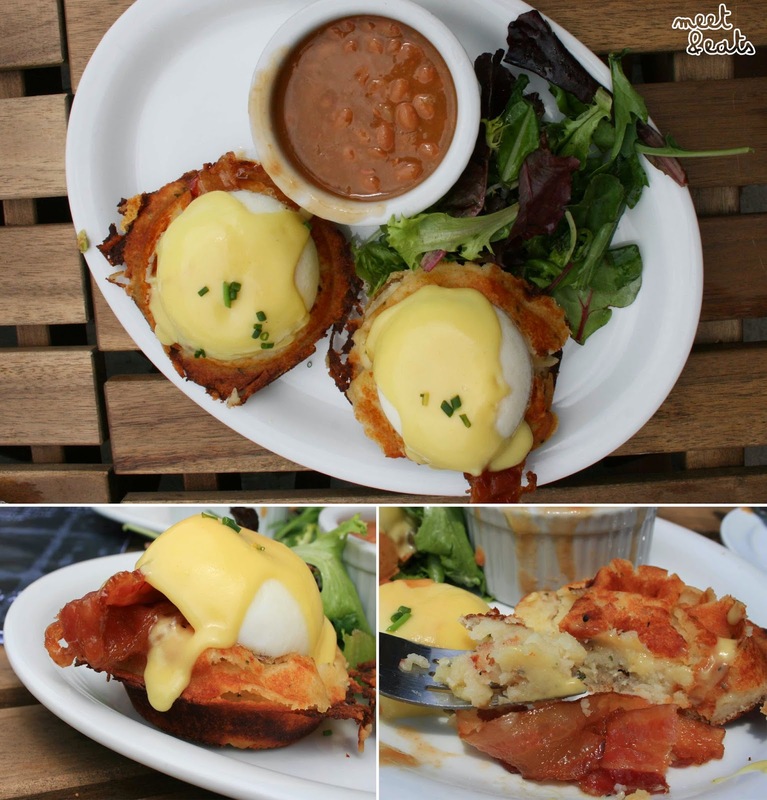 The Potato Waffles – and only that, are a must try, you should be able to sub it into other menu options as well!